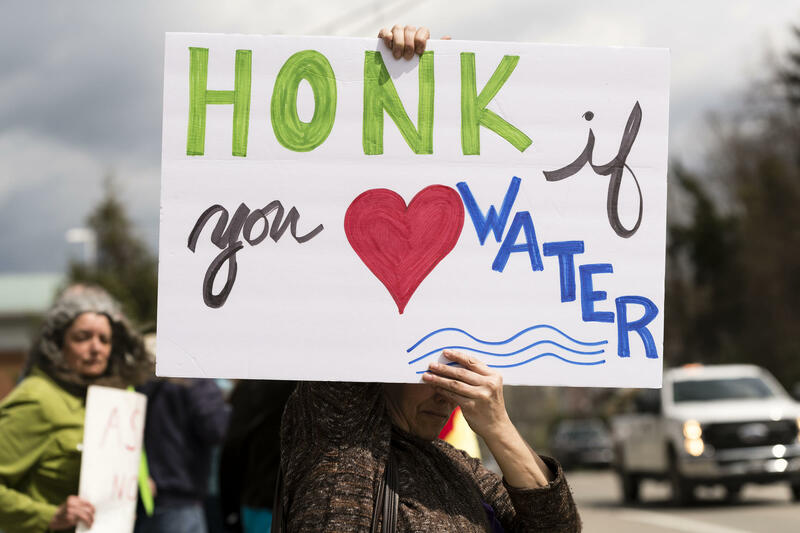 State and federal politicians announced initiatives this week to move forward an effort to build a major underground natural gas liquids storage facility in the Ohio Valley, an effort opposed by environmental activists who fear a petrochemical expansion in the region will threaten not only the environment but public health. The Appalachian Storage and Trading Hub has been in the works for almost a decade. Developers are seeking billions in loan guarantees from the Department of Energy. This week, Gov. Jim Justice met with officials from the U.S. Department of Energy to discuss the hub and developing the petrochemical industry in West Virginia. In a press release the governor said he would appoint a liaison to work with Energy Department officials on these issues. “It is absolutely vital that we create a petrochemical industry in West Virginia versus building more pipelines that leave our state without creating any long-term manufacturing jobs,” Justice stated. Officials from West Virginia, Ohio and Pennsylvania support efforts to bring cracker plants and other plastics manufacturing infrastructure to the Ohio Valley, which sits upon two of the nation’s most productive natural gas and natural gas liquids repositories, the Marcellus and Utica shale formations. A 2018 study by the Department of Energy estimates the largest growth in natural gas liquids production is expected from this region. 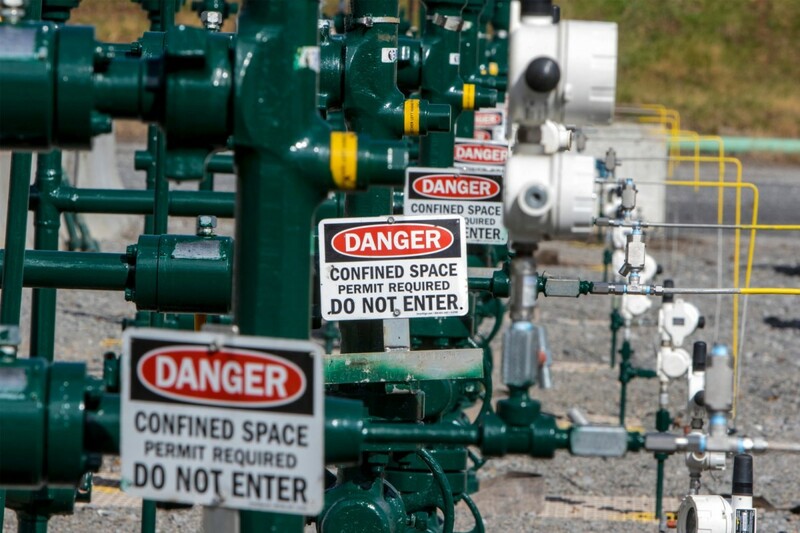 “Ethane production in Appalachia is projected to continue its rapid growth in the coming years, reaching 640,000 barrels per day in 2025 – more than 20 times greater than regional ethane production in 2013,” the report states. The announcement coincided with the Marcellus to Manufacturing Development Conference held this week in Morgantown. The conference, organized by the West Virginia Manufacturers Association, brought together officials and business representatives from across the region, largely to discuss expanding petrochemical manufacturing in West Virginia. Conference keynote speaker West Virginia Commerce Secretary Ed Gaunch told attendees his agency actively wants to help bring plastics and other petrochemical manufacturers to the state. Not everyone sees it that way, and those opposed to the petrochemical buildout say they’ve struggled to be heard by elected officials. 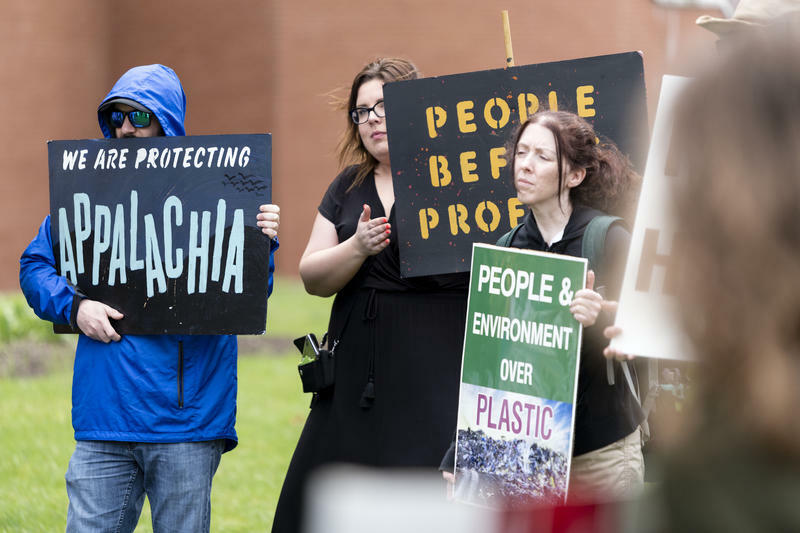 Activists voiced concerns that turning the region into the next plastics manufacturing center would place the state’s natural resources at risk, and harm its people, many of whom are already impacted by resource extraction. Lawmakers in favor of the proposed of the petrochemical expansion often cite an American Chemistry Council study that projects the industry would bring 100,000 jobs to the region. It also estimates 60 percent of plastic production would be for food products. Potential investment into the Ohio Valley’s petrochemical buildout comes at a time when some cities and companies around the globe are pledging to discontinue use of single-use plastic. Protestor BJ McManama with the Indigenous Environmental Network pushed back on the argument that a petrochemical future is the only one that can bring new jobs to the area. A long-sought, and key component, to creating a petrochemical industry in the Ohio Valley is building storage for ethane. Ethane is a component of the natural gas liquids abundant in the region, and a building block of plastic. Both of West Virginia’s U.S. Senators, Democrat Joe Manchin and Republican Shelley Moore Capito, support the Appalachian Storage and Trading Hub. At a budget hearing last week, Manchin pressed Energy Secretary Rick Perry about its progress. “Are you all looking seriously at a natural gas storage hub in the mid-Atlantic region, and advancing that as quickly as we possibly can to have that backup for security? And how does that play into the national security of our country?” Manchin asked. Perry said the hub was “not happening as fast as I’d like to see it,” but noted the Trump administration’s support. “I think there is extraordinary potential in those four states and the Appalachian region – Pennsylvania, West Virginia, Kentucky, Ohio,” he said. About a year ago, the project got approval for the first of two application phases for a $1.9 billion U.S. Department of Energy loan guarantee. To bolster the argument that this development would improve national security, this week Manchin introduced a bill, the Appalachian Energy for National Security Act, which would task the Energy Department with studying the national security benefits of the proposed gas hub. But for the protestors who picketed Tuesday, the fight isn’t over. The Ohio River Islands National Wildlife Refuge’s namesake is apparent upon stepping outside its visitors center in Williamstown, West Virginia. Gazing past bird feeders and the forested bank of the Ohio River, a skinny island looms large. “So Buckley Island is right across the water from us,” says Michael Schramm, visitor services manager at the refuge. Buckley Island is one of about 40 river islands spanning hundreds of miles of the Ohio River. 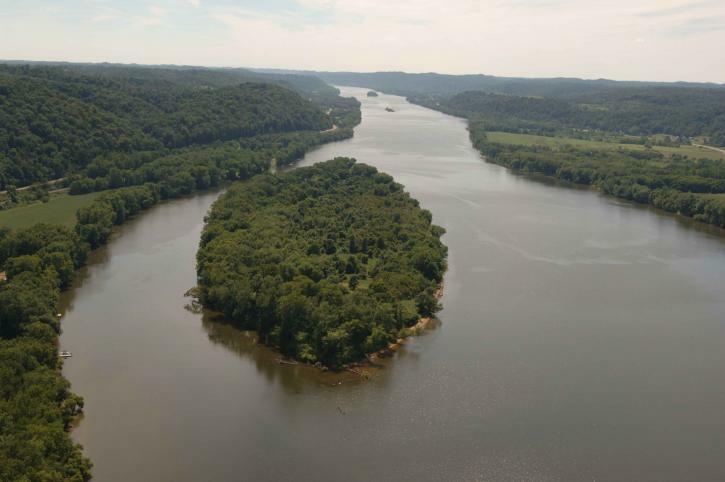 The islands were formed by rock and gravel deposited during the Ice Age, and they serve as important habitat for wildlife on the Ohio River, including migrating birds. Over the years, as the river channel has deepened, some of the islands have eroded away. Today, the refuge manages 22. “Part of the concept of the refuge and why it’s so widely scattered along the Ohio River is that it’s sort of like a little Noah’s Ark that the wildlife can use as they migrate,” Schramm says. The islands have a unique history. Some were used for farming, oil was drilled on others. Schramm spots a rafter of wild turkeys near an abandoned barn on Buckley Island, about a quarter mile from the visitors center. A century ago, it was home to an amusement park. Since the refuge’s founding almost three decades ago, the U.S. Fish and Wildlife Service has acquired these river islands, the bulk of which are in West Virginia. A handful fall in Kentucky and Pennsylvania. Largely, the agency has used millions of dollars from the Land and Water Conservation Fund. The LWCF, as it’s often called, was created by Congress more than 50 years ago as a way to protect the country’s natural areas and ensure Americans have access to them. It’s funded with revenues from royalties on offshore oil and gas drilling. Across the Ohio Valley, more than $700 million from the LWCF has been invested at federal, state, and local parks, forests and wilderness areas and to increase recreation access. Despite its popularity, the program hasn’t always been functional. Congress must both authorize the program and fund it, and previous authorization for the LWCF expired on September 30, 2018. Keller said in today’s divided political atmosphere, passing bills in Congress even with broad bipartisan support can be a challenge, but in February both the House and Senate resoundingly passed S. 47, the Natural Resources Management Act. In March, President Donald Trump signed it into law. Congress, he noted, still needs to provide funding for the program. The public lands package has a wide reach. Not only did it reauthorize the LWCF, the bill folded in measures that increase access to public lands for hunters and anglers, and designate more than 1 million new acres of wilderness. The legislation also renews for seven years the Every Kid Outdoors program, which gives all fourth graders and their families free access to U.S. National Parks. More than 100 smaller bills were also added into the final version. Most authorize regionally-specific projects, including in the Ohio Valley. For years, Mill Springs Battlefield, located near Nancy, Kentucky, was ranked one of the most endangered battlefields in the country. Under the new bill, it’s now a national monument. It will receive funding and support from the National Park Service. “It’s a big deal for us, something we’ve been working on for about 15 years,” said Bruce Burkett, president of the Mill Springs Battlefield Association. The non-profit has since 1992 purchased and preserved more than 400 acres of land associated with the 1892 Battle of Mill Springs, the first major Union victory in the Civil War’s western theater. Burkett said the national monument designation will raise the profile of the battlefield and draw more visitors in to learn about the role Kentucky played in the Civil War. A second Kentucky Civil War battle site, Camp Nelson, which was one of the largest training depots for African-American soldiers, was also designated in the bill. A few hundred miles away, the Appalachian Forest Heritage Area is also getting a new name, adding “national” to its title after years of being stalled by Congress. “We’re just incredibly excited about this. We’ve been working on this for so long,” said Phyllis Baxter, executive director of the nonprofit that manages the diverse, 18-county swath of forest highlands in West Virginia and western Maryland. She said the official National Heritage Area designation increases the resources available to promote the area. Baxter said one hope is that national visibility boosts tourism in some of the rural communities in the heritage area, providing a sustainable source of economic diversification. The Natural Resources Management Act also includes language that increases funding for all National Heritage Areas, and specifically expands the funding cap for the Wheeling National Heritage Area, from $13 million to $15 million. WNHA was established in 2000 and encompasses a 12-square-mile region throughout Wheeling, located in West Virginia’s northern panhandle. A 2017 economic impact analysis found from 2014-2016, WHNA generated $86.6 million in economic impact largely from tourism. The heritage area also supported 1,109 jobs and generated $6.4 million in tax revenue. Supporters of the LWCF also point to billions of dollars in economic benefits associated with outdoor recreation. Angie Rosser, executive director of the West Virginia Rivers Coalition, said the program benefits communities at all levels and has played an important role in expanding the state’s whitewater rafting industry. “When we think of river access, I mean LWCF immediately comes to mind in the ways that it’s benefited rivers like the Gauley, which of course attract tens of thousands of people from all over the world to experience our world-class, whitewater rapids,” Rosser said. Every public access site on the Gauley River was made possible using funds from the LWCF. 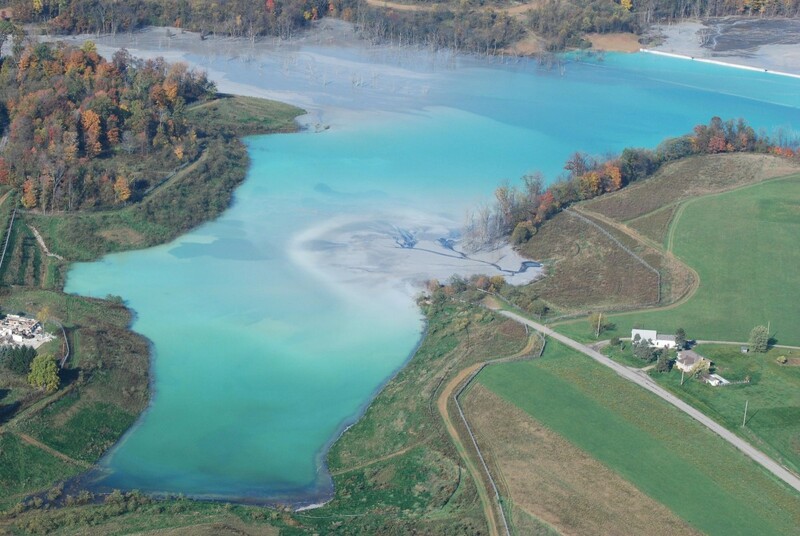 More than 90 percent of the nation’s regulated coal ash repositories are leaking unsafe levels of toxic chemicals into nearby groundwater, including ash sites at more than 30 coal-fired power plants in the Ohio Valley. A new analysis released Monday by the Environmental Integrity Project and other advocacy groups looked at federally-mandated groundwater data from 265 coal plants and their more than 550 coal ash sites across the country. The data show unsafe levels of pollutants including lead, arsenic and mercury are leaking into nearby groundwater from coal ash sites at 14 coal-fired power plants in Kentucky, 10 in Ohio, and 7 in West Virginia. The groups analyzed industry-supplied groundwater data required by the U.S. EPA under its 2015 coal ash rule. The Obama-era regulation requires utilities to not only conduct groundwater monitoring at ponds and landfills, but close leaking ash ponds and clean up polluted groundwater. The first round of data was posted last spring and includes eight rounds of testing for 21 pollutants. While the 2015 rule does not apply to all coal ash sites across the country, Abel Russ, senior attorney with the Environmental Integrity Project and lead author of the report, said the new analysis provides the most up-to-date picture of how pollutants contained in coal ash are leaching into the environment. “Our report provides a unique, nationally comprehensive snapshot of the industry and it’s confirmed that virtually all coal plants are contaminating groundwater,” he said. The report’s findings mirror those published last year by the Ohio Valley ReSource and member station WFPL. In Kentucky and West Virginia, every power plant covered under the EPA rules had coal ash waste sites with evidence of contaminated groundwater. In some cases, the data showed levels of pollutants many times higher than the federal drinking water standards. For example, coal ash sites near West Virginia’s Pleasants Power Station had levels of the neurotoxin arsenic 16 times what the EPA deems safe. The radioactive and cancer-causing pollutant radium was found at levels six times higher than acceptable. The groundwater data was collected close to the unlined coal ash pits and landfills. More testing is needed to determine to what extent those contaminants affect drinking water. Kentucky’s Ghent Generating Station — located along the Ohio River about an hour northeast of Louisville — ranked among the 10 worst contaminated coal ash sites in the country. The report’s authors said in light of their findings, federal and state regulators must move to regulate all coal ash repositories and quickly. However, the Trump administration has moved to weaken the 2015 coal ash rule. The EPA extended the deadline for utilities to stop using some coal ash ponds by more than a year, and has allowed utilities to assure regulators that leaking contaminants won’t get into groundwater. It is expected to release further changes to the rule this year. As ProPublica’s investigation detailed, EQT Corp. had been accused of deducting a variety of unacceptable charges from natural gas royalty checks. The company says it wants to “turn over a new leaf” in its relationship with the state’s residents. A trial was scheduled to begin in November but was canceled after the parties reached the tentative settlement. Details of the settlement were unsealed Wednesday. The settlement is pending before U.S. District Judge John Preston Bailey in the Northern District of West Virginia. The judge gave it preliminary approval on Monday, which begins a process for public notice of the terms and a fairness hearing July 11 in Wheeling, West Virginia. Payments would not be made until that process is complete. Kate Mishkin and Ken Ward Jr. cover the environment, workplace safety and energy, with a focus on coal and natural gas for the Charleston Gazette-Mail. Email Kate at kate.mishkin@wvgazettemail.com and follow her on Twitter at @katemishkin; email Ken at kward@wvgazettemail.com and follow him on Twitter at @kenwardjr.